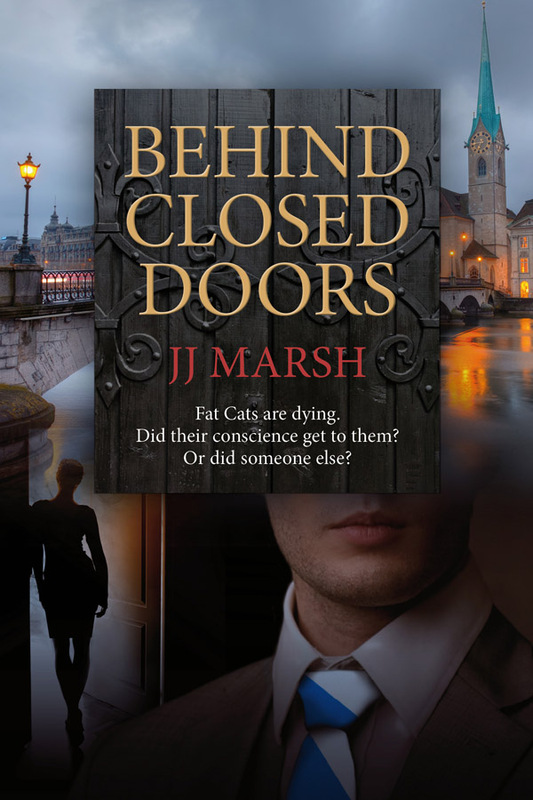 I have to admit that, when I read that agents had complained about JJ Marsh’s Behind Closed Doors —the first book in her Beatrice Stubbs series—being “too cerebral,” my first thought was, “Where do I buy it?” I grew up reading Agatha Christie, Dorothy Sayers, Ngaio Marsh, and their contemporaries (as well as a ton of historical fiction). In later years, I added Elizabeth Peters, Elizabeth George, Anne Perry, Laurie R. King, and Tasha Alexander to my list of “must read” authors. I have no interest whatsoever in hard-boiled detective novels, never mind the kind that come drenched in blood and gore. Give me a good “cozy” any day—unless the book involves Mary Russell leaping from rooftop to rooftop or Amelia Peabody wielding her famous parasol. I can tolerate some action, so long as it’s the right kind. 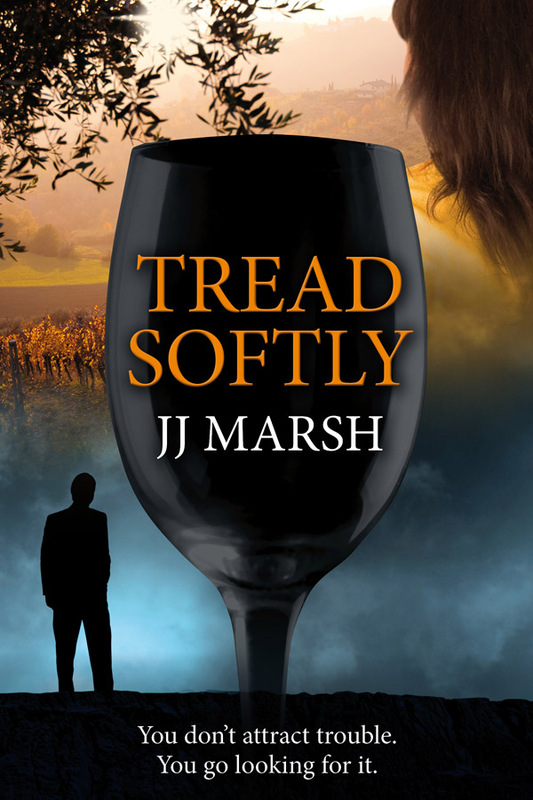 Having spent a couple of decades banging my head against the wall as I learned to write a novel, I could imagine that the agents reacting to JJ Marsh meant they wanted more sensation, more emotion, less focus on problem solving, and so on. But really, how much emotion do you need in a police procedural? Detectives have to deal with murder every day; they can’t afford to let it get to them. You don’t see the cops on CSI sobbing in corners; you see them talking about DNA analysis and getting on with the job. So I would have been perfectly happy with Beatrice Stubbs even if she did no more than solve the crime, so long as the author could craft a decent story and distinguish Zürich and Amsterdam from New York. In fact, JJ Marsh does much more than this. Beatrice has her issues: she’s older and less attractive than she would like to be; and she has a history of emotional problems, never an encouraging sign for police supervisors. Her career, as a result, has stalled. The job in Zürich offers Beatrice a chance to redeem herself, but only if she can fight her way past a colleague determined to obstruct her mission and show her up, not least to convince Interpol that the local staff could have solved this case without outside assistance. Beatrice rallies her team, never quite sure who’s on her side and who’s not, and sets off to tackle a series of complex, unusual, well-plotted crimes that lead her across half of Europe even as the murderer continues to pile up victims. If that’s “too cerebral,” bring me more Beatrice Stubbs. And in fact, I have more Beatrice Stubbs waiting on my e-reader. All I need is another batch of free time. I finished Behind Closed Doors before Thanksgiving but held off on posting about the book because I intended (and still intend) to read the sequels, Raw Material and Tread Softly. Thanks to interview preparation, GoodReads challenges, and research for The Winged Horse and The Swan Princess, I haven’t quite caught up. But I will in a few weeks. 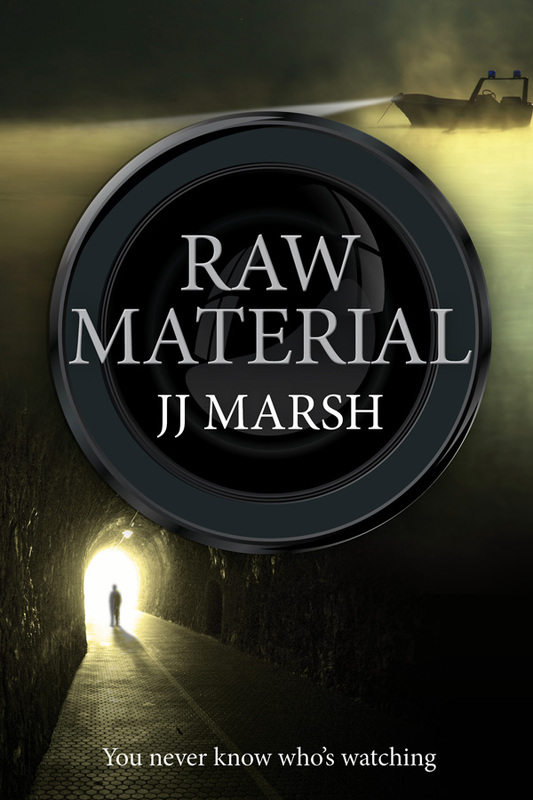 This series is one of my Hidden Gems, and if you like smart detective novels in slightly unusual settings, it may soon be one of yours. If you’d like to know more about writers’ cooperatives as a stage between self-publishing and commercial publishing, two good sources in addition to this blog include The Triskele Trail and “Why Self-Publishers Should Go It Alone, Together,” posted by Jordan Rosenfeld to Joel Friedlander’s wonderfully informative blog, The Book Designer. 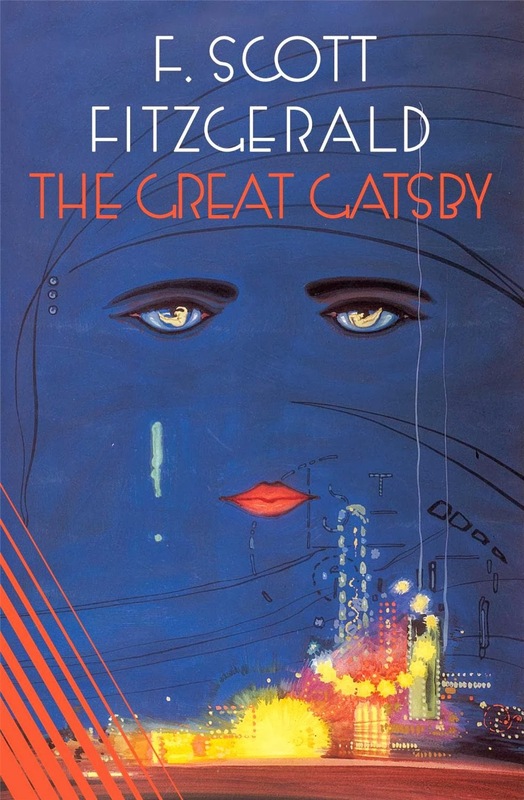 As I noted in my review on BookLikes, The Great Gatsby was never one of my favorite novels. I read it too young, before I had much clue about life or people or much of anything, and under the wrong circumstances—as a “classic,” according to my eleventh-grade school curriculum. After I grew up and began writing my own novels, I kept encountering passages from it in the craft books I was reading. I kept thinking I should go back and give it another try. It was short, it was beautifully written, and most of all, it was an American classic. Alas, even after I downloaded it to my iPad, I still could not make myself give it a go. Those teenage wounds strike deep. That was true until last year, when I was scanning the Algonquin catalogue and saw the entry for Lee Smith’s Guests on Earth , the subject of last week’s post and my latest interview for New Books in Historical Fiction. Guests on Earth deals with the last years of Zelda Fitzgerald, whom I—like many people—knew only as the template for Daisy Buchanan in The Great Gatsby. I had no idea Zelda ended her days in a mental hospital, still less that she was a talented writer, dancer, and painter in her own right. So, when the Dead Writers Society decided to pick The Great Gatsby as its group read for January, the very month in which I was scheduled to interview Lee Smith, the die was cast. I had to stop procrastinating and tackle Fitzgerald’s magnum opus, classic or not. And … I was pleasantly surprised. No, I was amazed. Fitzgerald describes the privileged, money-obsessed, emotionally twisted world of his imagination in prose so lucid and exquisite that it haunts me long after I have set aside its 150 pages and moved on to other, meatier tomes. That was it. I’d never understood before. It was full of money—that was the inexhaustible charm that rose and fell in it, the jingle of it, the cymbals’ song of it…. High in a white palace the king’s daughter, the golden girl. All of which goes to show that sometimes age does bring, if not wisdom, at least a new appreciation of things that at one time went unremarked. I’m glad I revisited Fitzgerald’s world. Perhaps I’ll stop by again sometime. As of January 24, 2014, I have read four books for History Challenge 2014: A Sail to the Past (Elizabeth Kendall, Balanchine and the Lost Muse; Nancy Shields Kollmann, Crime and Punishment in Early Modern Russia; Ian Mortimer, A Time Traveller's Guide to Elizabethan England; and Christina Ezrahi, Swans of the Kremlin). You can find my reviews on GoodReads and BookLikes. So I have attained the level of Scholar (my grad school professors would be proud). Next up is Women, Armies, and Warfare in Early Modern Europe, as I start to think about the plot for my next novel, The Swan Princess. I owned those four before January 1, 2014, so they also count for the Reduce the TBR Challenge, together with Bernard Cornwell's The Last Kingdom and Death of Kings. So I am one-quarter of the way toward the Mont Blanc level of 24 books. And I'm tearing through Behind the Shattered Glass—by a perennial favorite author of mine, Tasha Alexander, which is another from the TBR pile. If you'd like to know more about this series, check out her interview from this time last year. Lots of books to go, but I have hope that I may actually make it through! 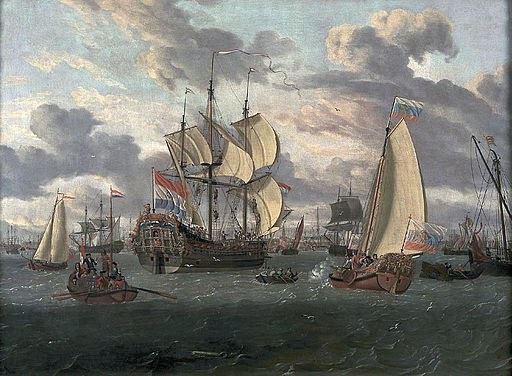 New Books in Historical Fiction spends lots of time in foreign places. In our fifteen months on the air, we have visited Russia, Scotland, Italy, Latvia, Sweden, China, France, Malaysia, and the Byzantine Empire—sometimes more than once. We have traveled to Elizabethan England with James Forrester and to Morocco with Laurie R. King. We have even made a stop in Nazi Germany. Future destinations include more trips to England (Saxon, Norman, and Regency), as well as Moorish Spain and Central Asia at a time when the Silk Road was in full swing. And that is far from the full agenda for 2014. But not all exciting journeys end up overseas. We took a trip to Colonial Pennsylvania with Janet Olshewsky and spent some time in Boston with B. A. Shapiro. 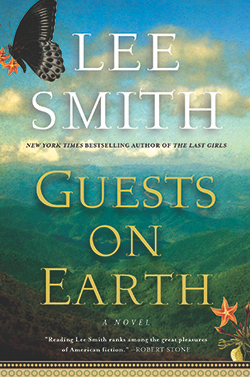 This month, with Lee Smith’s masterful novel Guests on Earth, we visit the mountains of North Carolina, a world twice removed from our present existence—by time, obviously, since our genre is historical fiction, but also by that imperceptible but inescapable curtain that divides the sane from the insane. That barrier, which seems so clear on the surface, turns out to be much less so in reality. Some of the characters in Guests on Earth do suffer from identifiable mental illnesses, and others from temporary emotional problems that would endanger their health if left untreated. But many, especially the female patients, seem less “crazy” than reluctant to accept society’s rigid limitations on their behavior. This is, after all, the 1930s and 1940s, when “good girls” were expected to stay chaste, marry young, bear often, and devote their lives to caring for husbands and children. Any deviation from that plan cast doubt on a woman’s sanity, and incarceration in a mental hospital or prison—even forced sterilization—might result. Lee Smith is a stellar storyteller, both in person and on the page. Don’t miss her interview—or her book. The rest of this post, as usual, comes from the New Books in Historical Fiction site. On the night of March 9, 1948, fire consumed the Central Building at the Highland Mental Hospital in Asheville, North Carolina. Although people at the time recognized that the fire had been set, the local police department never identified the arsonist. Among the nine women who died on a locked floor at the top of the building was Zelda Fitzgerald, the wife (by then, widow) of the writer F. Scott Fitzgerald. Zelda’s storybook life had led her from the Beauty Ball of Montgomery, Alabama, to marriage at seventeen and the joys and excesses of the Jazz Age (a term coined by her husband). But the early 1930s brought repeated hospitalizations for schizophrenia. Whenever possible, Zelda wrote and painted and danced, yet she remains known to history primarily as the inspiration for Daisy Buchanan and other rich, spoiled, shallow Fitzgerald heroines. In Guests on Earth (Algonquin Books, 2013), Lee Smith sets out to correct our images of Zelda. In doing so, she raises questions of what it means to be “crazy,” to be called crazy even if you just do a poor job of fitting in with society’s expectations, or to stand by—as family members must—while their loved ones are taken away to institutions and subjected, if with the best of intentions, to barbaric treatments that represent the “progressive” wisdom of the day. What kind of lives can these “guests on earth”—in Scott Fitzgerald’s words, “eternal strangers carrying around broken decalogues that they cannot read”—construct in their moments of lucidity? So I hereby sign up for the History Reading Challenge 2014. Because I am a historian who is busy researching her current novel as well as planning to work on a new one before the year is out, I figure I will have no difficulty attaining the Historian level of seven books. Here are ten titles that I must read before December 31, 2013. Since January 1, I have finished Balanchine and the Lost Muse and read a quarter of Swans of the Kremlin, as well as one-third of The Time Traveller’s Guide to Elizabethan England. Stay tuned for updates on the rest. If you’re a member of Goodreads, you can find my review of Elizabeth Kendall’s Balanchine and the Lost Muse here: https://www.goodreads.com/review/show/820250202. I also tore through Crime and Punishment in Early Modern Russia (#2), because it was due back at the library. That review is here: https://www.goodreads.com/book/show/15868394-crime-and-punishment-in-early-modern-russia. I also plan to participate in the Reduce the TBR Challenge, although I have listed those books only on Goodreads. My to-be-read pile has become indecently large and grows every day (are they multiplying in the dark, like bunnies?). I’m aiming to reduce the unread books (print and Kindle) by 24–36 before the end of the year. post weekly on this blog. Just for fun, let’s see how I did. Well, I did not publish The Winged Horse. Work got crazy in the middle of the year and stayed crazy through December, so it’s a miracle I didn’t abandon Legends altogether. But I did go from 1/3 of a rough draft to a complete draft, 1/3 of which is now revised. I need to finish the revisions, read the whole thing for style, give it to my critique partners for comments on the writing and to the historian of medieval Tatars who has promised to fact-check it. Then I will do a final round or two incorporating their corrections, typeset it, and get the book out by the middle of 2014 (I hope). 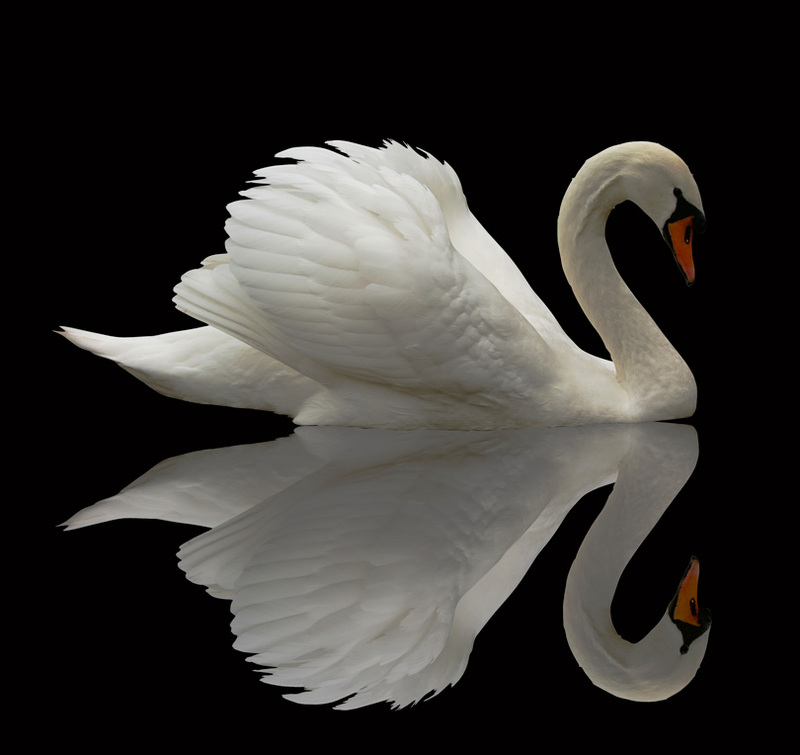 On a more positive note, my ideas for The Swan Princess and, especially, The Vermilion Bird (Legends 4: South) have made huge strides since last year. Only book 5 is still a bit hazy, not least because it will depend on what eventually happens in book 3. So except for some research on Muscovite armies, medieval medicine, and the Lithuanian War of 1535–37, I should be able to dive immediately into book 3. My slowness in finishing retarded the planned growth of Five Directions Press. Still, we made some progress. We brought out Ariadne Apostolou’s Seeking Sophia in June 2013 and added the e-book versions in December. Ariadne has close to final drafts of two novellas and a preliminary draft of a third, all tracing the different life paths followed by the friends of Seeking Sophia’s heroine. Sometime this year, we should publish all three novellas as a single book. Courtney J. Hall has changed her title and put in a ton of work on Some Rise by Sin (formerly Saving Easton), so we hope to get that one out in the first half of the year as well. 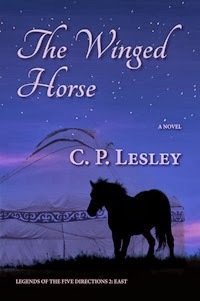 With The Winged Horse, that will give us the seven titles by four authors that we hoped to reach by the end of 2013. Courtney is also planning a sequel to Some Rise by Sin. With a growing number of books, promotion becomes in some ways easier, in others more important. Here I’m still struggling. The Goodreads group read for The Golden Lynx in March 2013 definitely helped sales; the crazy work schedule definitely didn’t. In August, I arranged with a local bookseller to carry the 5DP books, but even she can’t tell me whether she actually sold any. We’re still planning a series of bookmarks in the hope of generating interest and looking into more local events for 2014. I did attend the Slavic studies conference (and received an independent scholar lifetime achievement prize, in part on the strength of The Golden Lynx), where I sold several copies. I became more comfortable with Facebook and Twitter, although social media remain a work in progress for me. And the Unusual Historicals blog featured an interview with me last Sunday. Reduced prices on my e-books for a couple of weeks around Christmas garnered some additional sales. I remained active in several Goodreads groups focusing on readers and became active on Booklikes. Through Goodreads, Five Directions Press made contact with a fellow writers’ cooperative in the UK, Triskele Books, which resulted in a series of interviews and reviews for each cooperative as a group and for individual writers, including one of Seeking Sophia by Words with JAM. So we did improve our marketing, but we still have a long way to go. One of my main forms of indirect promotion has been New Books in Historical Fiction (NBHF), which has picked up over the last year as publishers and authors discover us and the New Books Network more generally. From Julius Wachtel in January to James Forrester (Ian Mortimer) in December, I had a whole series of fascinating conversations with authors of historical fiction. Expanding from once a month to twice a month proved impossible, and I have no reason to think that will change in 2014, but I am already booked through August and have begun to receive great books unsolicited, so I anticipate another fun year of reading and chatting. Look for discussions with Lee Smith (Guests on Earth), Jessica Brockmole (Letters from Skye), James Aitcheson (Sworn Sword), Pamela Mingle (The Pursuit of Mary Bennet), Tara Conklin (The House Girl), and Bernard Cornwell (The Pagan Lord, Death of Kings, and 1356) in the first half of the year. Other than NBHF, my biggest success in 2013 may have been maintaining this blog. I posted regularly every Friday, and I hope to do the same in 2014. I even have quite a few ideas that I didn’t need to use, so I should be good for posts until sometime in March. By then, I hope, inspiration will have struck once more. Happy New Year! Thank you so much for reading my posts over the last eighteen months. I look forward to sharing some small part of 2014 with you, too. And for those just discovering NBHF, my list of authors interviewed so far, in order: Julian Berengaut and Karen Engelmann (2012); Julius Wachtel, Tasha Alexander, Douglas R. Skopp, William Burton McCormick, Laurie R. King, B. A. Shapiro, Marie Macpherson, Janet Kastner Olshewsky, Virginia Pye, Yangsze Choo, Carol R. Strickland, and James Forrester/Ian Mortimer. Areas covered include Russia, Sweden, Italy, Germany, Latvia, Morocco, the United States, the United Kingdom, China, Malaysia, and Byzantium. You can find any of the interviews at the New Books in Historical Fiction link above.